A family-run car dealership business in Wales has fitted solar panels to the roofs of its showrooms in a bid to make substantial long-term savings. J&J Motors operates Nissan, Ford, and Fiat and Suzuki showrooms at Cross Hands, near Llanelli. 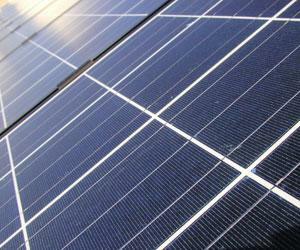 With the help of Renewable Energy Investments (REI), which covered the £80,000 costs of the installation, the company added panels to all of its sites, which in turn it hopes will save it around £166,000 in electricity bills over the next 20 years. As well as benefiting the environment, making improvements such as this to the business' premises can make sound financial sense. However, the car dealer will likely need to amend their motor trade insurance policy to make sure the extra value of the installation is factored into the cover they receive. The solar panels at J&J Motors' sites are expected to generate 59,090 kWh of energy every year. Meanwhile, in return for the funding it received, the car dealer will buy zero carbon electricity from REI, a renewable energy investor, at a discounted rate, AMOnline reported. John Plimmer, J&J Motors’ managing director, commented: “With the size of our premises, we are always looking at ways of reducing our overheads.